Recognize yourself? Are you leaving yards behind? Here’s a golfer with 15 years playing the game. He’s done a good job getting his handicap down to 9, despite not being overly long off the tee. Last year he decided to add length to his tee shot and bought a new Driver, but skipped the Fitting. 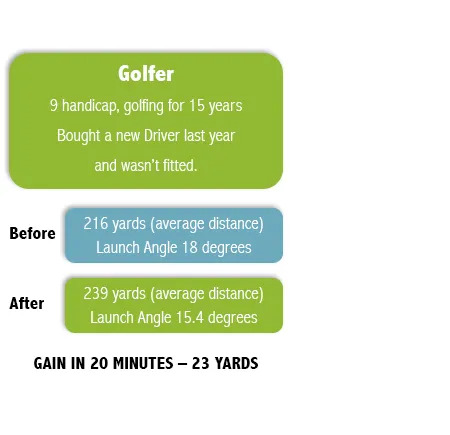 He’d read that golfers should be buying Drivers with more loft if they wanted to maximize distance. That’s a nice generalisation, but each golfer is an individual, and needs an individual fitting. There are a lot of golfers out there reading every magazine and online article or watching every advert or TV show to find extra distance. But these are full of ‘generalisations’ that might or might not work. Why not get the job done properly? 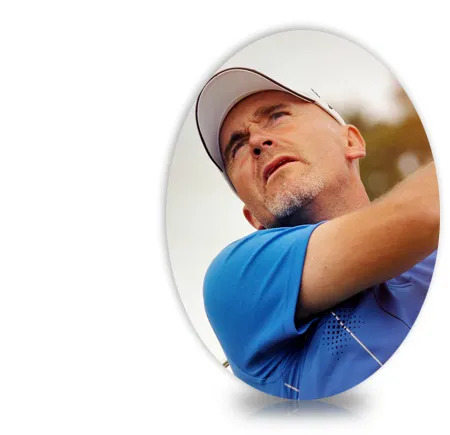 Why not start out with an objective to add at least 15 yards and let us find the best way, whether it’s a setup or quick swing change or a properly fitted Driver?